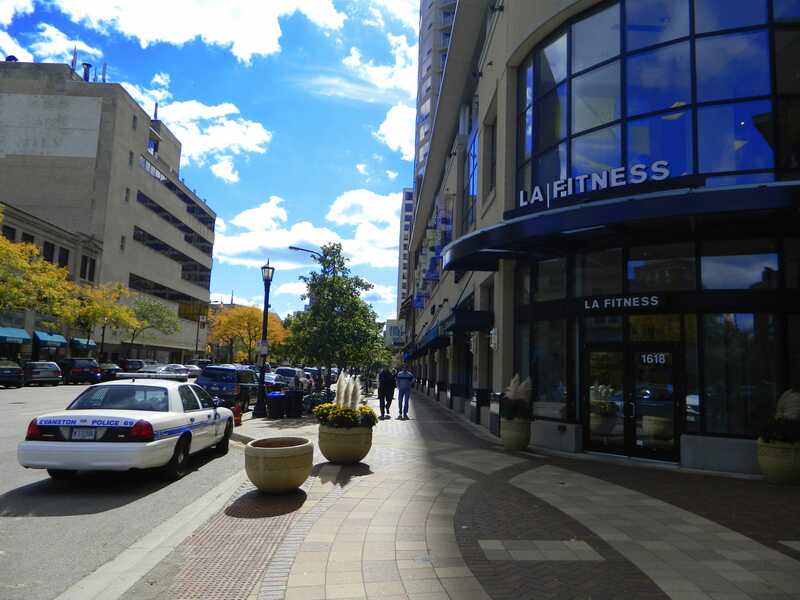 Locker burglaries have become a consistent problem at LA Fitness. Police say the gym has reported 48 locker thefts since the start of 2012. Evanston gym LA Fitness has reported a series of locker room thefts in the past year, prompting police to suggest new security measures. Since the beginning of 2012, 48 thefts have been reported in the locker rooms at LA Fitness, 1618 Sherman Ave., said Evanston Police Cmdr. Jay Parrott. More than 90 percent have occurred in the men’s locker room, he said. On Oct. 1, an offender stole a wallet including credit cards and approximately $50 in cash from the locked locker of a 16-year-old Evanston resident. A manager at LA Fitness declined to comment, and the corporate LA Fitness media line did not respond to requests for comment. Valuables have been stolen from both locked and unlocked lockers. EPD has offered suggestions for securing the locker rooms at LA Fitness, including video surveillance outside the locker room entrances, fire alarms on the exits, greater scrutiny of members and lockboxes at the front of the gym for members to lock their valuables. “We’ve continually worked with the management there to try to curb the problem,” Parrott said. He added that, to his knowledge, LA Fitness had undertaken several of these suggestions, such installing video surveillance, alarms and lockboxes. The next step, Parrott said, would be for LA Fitness to hire a full-time staff member to watch the locker room at all times. Communication senior Stephanie Hill, has been an LA Fitness member for over two years. She said management posted signs in the locker rooms reminding club members to lock their belongings, but she has not received notifications about locker thefts. Amy Whalen, manager of Evanston Athletic Club, said that that gym also experienced some locker thefts more than four years ago, but EAC simply changed the hardware on its locks. In addition to new lockers, Whalen said that a heightened awareness among EAC staff made theft less likely to happen. Whalen noted that staff paid close attention to people entering and leaving the club and always required a driver’s license for a guest. “I think it’s clearly incumbent upon the management there to address the issue a little more thoroughly just because the problem continues,” Parrott said.